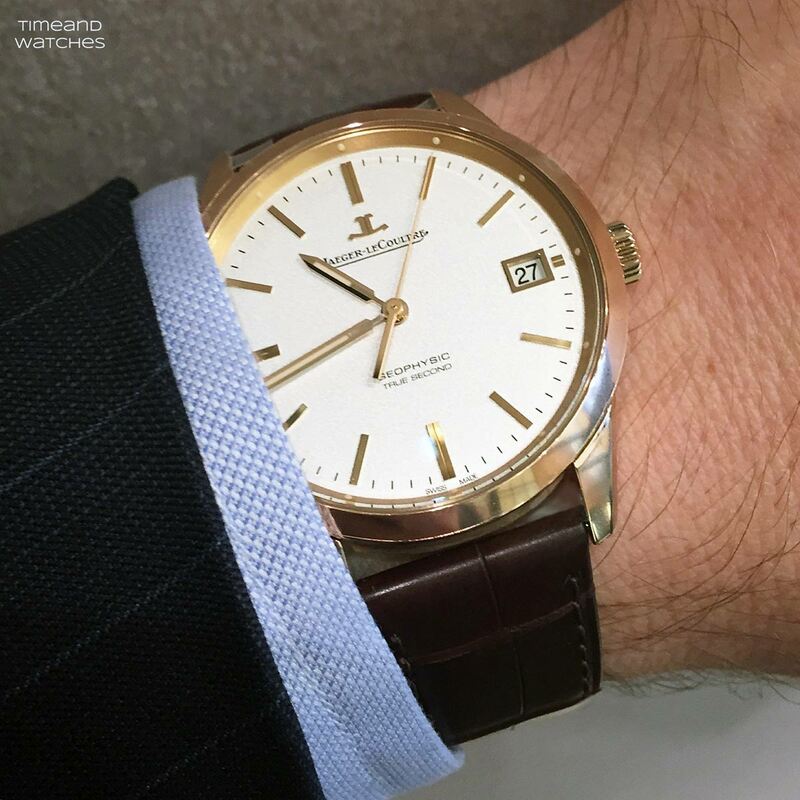 Last year Jaeger-LeCoultre presented the re-issue of a successful model of the past, the Geophysic 1958 (we wrote about it here). 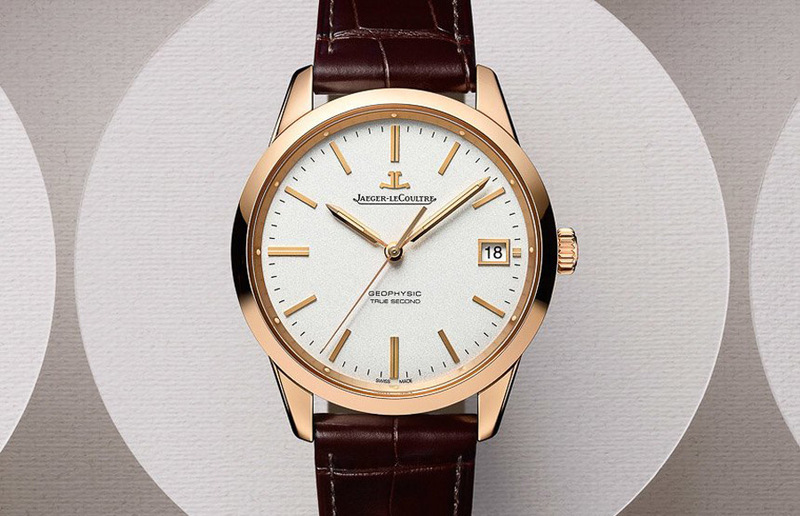 The Geophysic collection now expands with two new timepieces that we will cover in two separate articles. 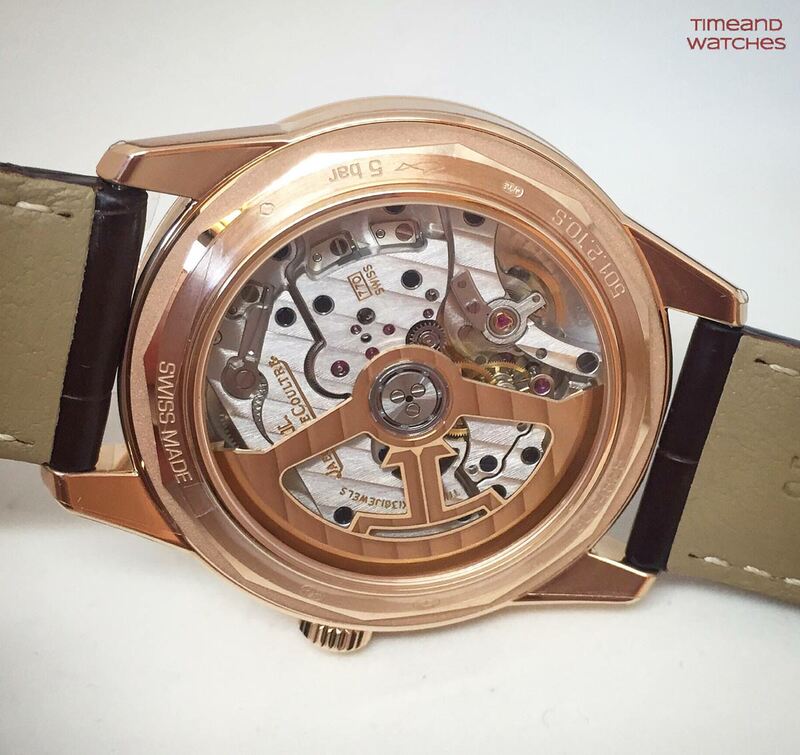 Showcased at the Watches & Wonders 2015 event (Hong Kong, September 30 - October 3), the first model is the Geophysic True Second featuring a true seconds system that causes the seconds hand to move forwards while "beating the second", i.e. by performing a jump every second. 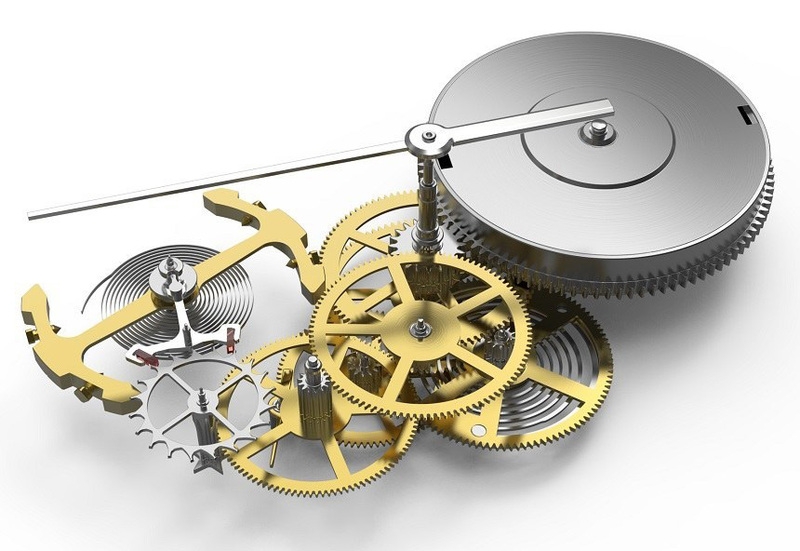 The true seconds mechanism remarks the nature of the Geophysic as an instrument watch, where precision is of the utmost importance. To support the new feature, Jaeger-LeCoultre introduced a brand new movement, the calibre 770, whose architecture - from main plate to bridges - was completely redesigned. 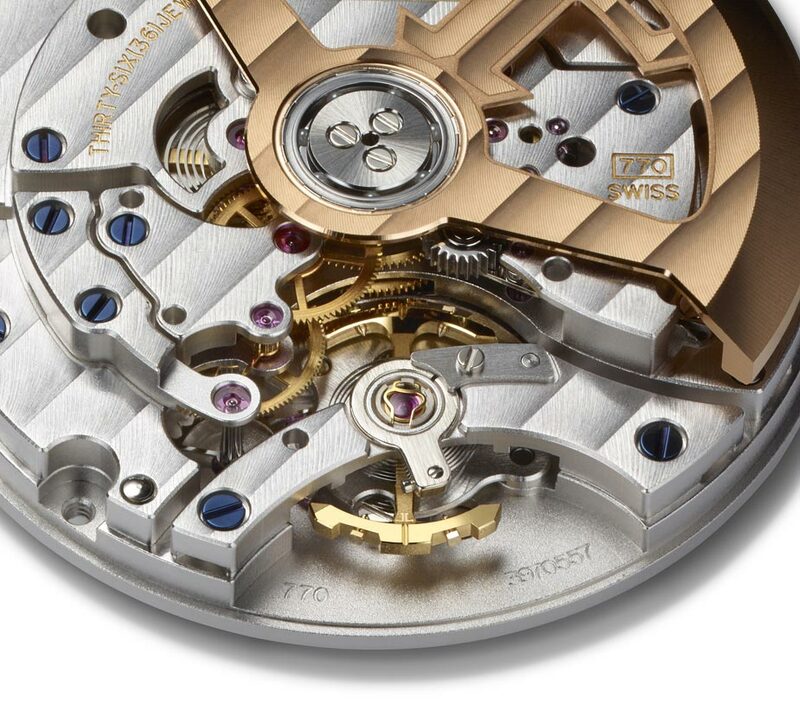 Beating at 28,800 vibrations per hour with a power reserve of 40 hours, the movement is entirely decorated with Côtes de Genève. 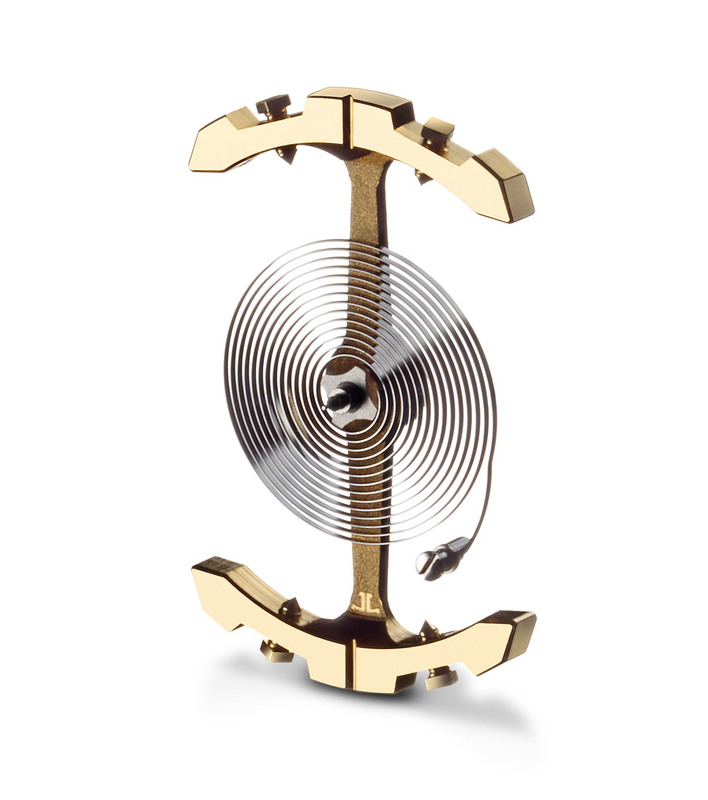 But the more distinctive element is the atypical balance wheel featuring a non-circular configuration which should help to reduce air friction. Named the Gyrolab, this device was initially developed in a laboratory version back in 2007 to equip the Master Compressor Extreme Lab 1 watch. Named the Gyrolab, this device was initially developed in a laboratory version back in 2007 to equip the Master Compressor Extreme Lab 1 watch. 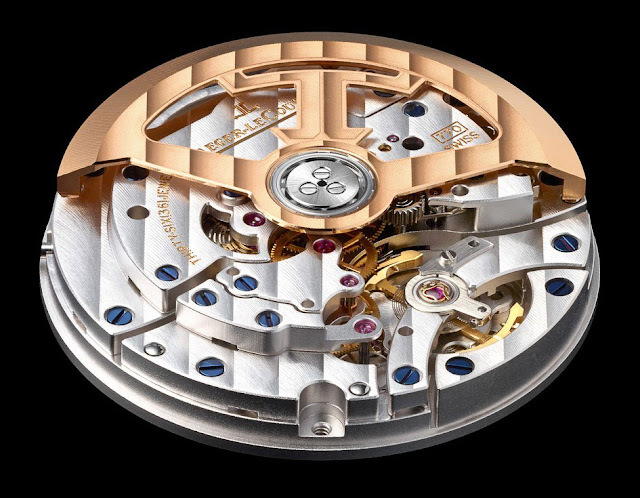 The new calibre is housed in a 39.6 mm x 11.8 mm case, available in stainless steel or in rose gold, offering water resistance to 50 metres and featuring double sapphire crystals. 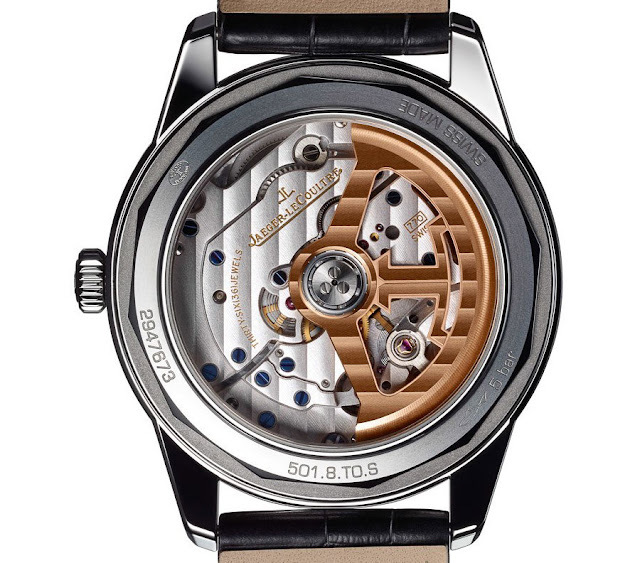 The case-back is screwed in like that of the 1958 model. The simple round case frames a silvered grained dial with applied hour markers and Super-LumiNova dots to enable easy reading in the dark. The baton-type hands are also treated with Super-LumiNova. Ah! Now it's hard to decide between this and the Geophysic 1958! 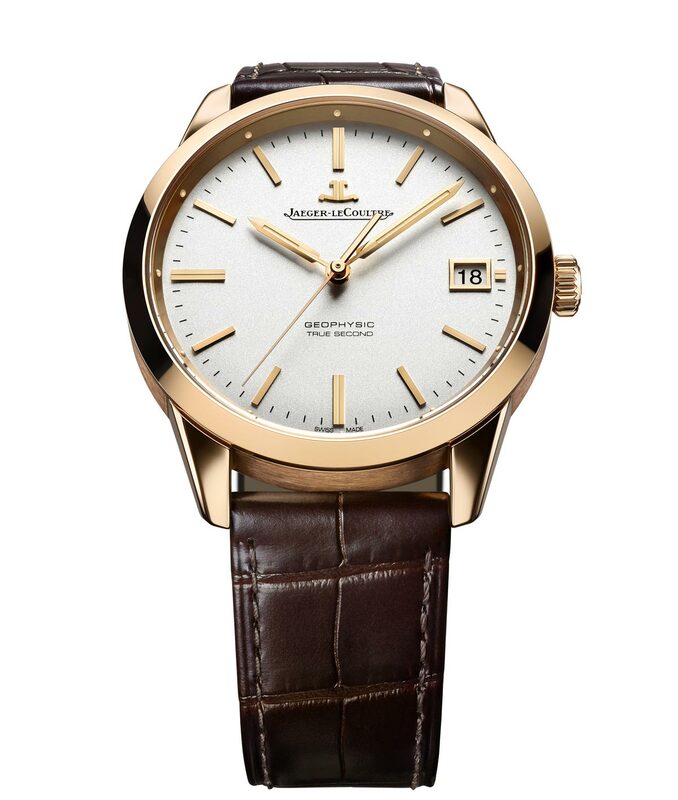 Jaeger-LeCoultre - Geophysic True Second. Showcased at the Watches & Wonders 2015 event (Hong Kong, September 30 - October 3), the first model is the Geophysic True Second featuring a true seconds system. 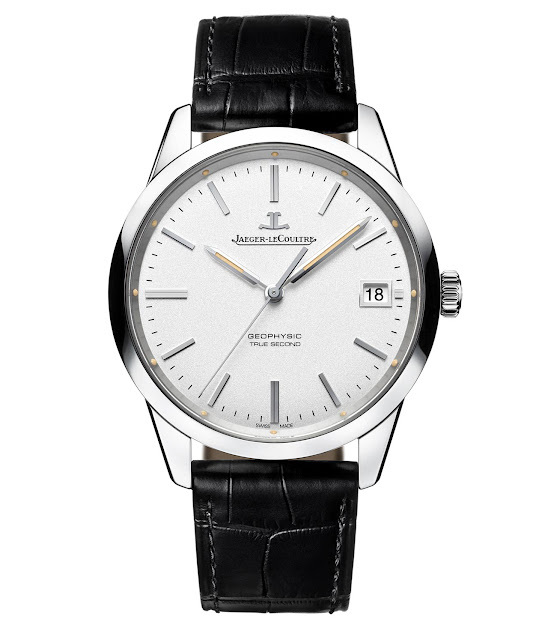 The Jaeger-LeCoultre Geophysic True Second has retail prices of Euro 8,500 / US$ 9,000 for the steel version (ref. 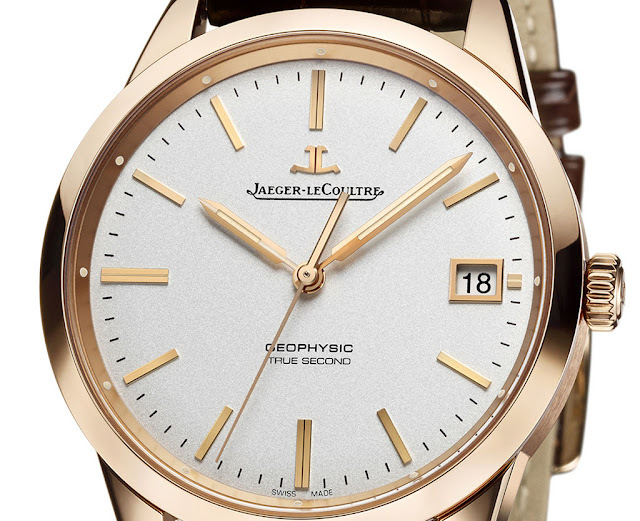 8018420) and Euro 17,000 / US$ 17,500 in rose gold (ref. 8012520).